As every year, the world was looking excitedly towards Los Angeles, California, USA, in order to follow the 89th Academy Awards 2017 live on screen or directly on the red carpet. In the Dolby® Theatre on the Hollywood Boulevard and Highland Avenue, the biggest and most glamorous event of the film and entertainment industry took place on Sunday, February 26. Super stars such as Leonardo DiCaprio, Jeff Bridges, Mel Gibson, Laura Dern, Kristin Dunst, and many others shared the red carpet as well as the stage with the stars of the new generation, among others Ryan Gosling, Emma Stone, Alicia Vikander, Brie Larson, Dakota Johnson, and the gorgeous Hailee Steinfeld. The Oscars® 2017 were hosted by TV star Jimmy Kimmel. The comedian was already honored with a star on Hollywood Blvd’s Walk of Fame in 2013. Although he said: “I am sure I will screw this show up”, he did a very good job. With his smart sense of humor, he entertained the audience in the Dolby® Theatre as well as the more than 34 million people around the world. He continued his feud with Matt Damon also onstage during the 89th Academy Awards 2017. After some funny jokes and an even funny review about the movie “We Bought a Zoo”, Oscar® presenter Matt Damon was introduced as guest onstage, alongside his childhood friend Ben Affleck. Some moments later, he was played off by Jimmy Kimmel. There is no Academy Award® without exciting music performances. While walking through the hall, Justin Timberlake opened the show, and encouraged the crowd to dance with him. The very young but also very professional, and beautiful Auli’i Cravalho, performed her song from the movie “Moana” live on stage. John Legend brought the scenery and atmosphere from La La Land on stage, when he performed the nominated songs “City of Stars” and “Audition (The Fools Who Dream). More thoughtful tones and songs were presented by Sting as well as Sara Bareilles. The latter sang “Both Sides, Now” during the annual In Memoriam tribute. Hailee Steinfeld stood out from the crowd of stars. She became known for her performance in “True Grit”, where she starred alongside super stars like Jeff Bridges, Matt Damon, and Josh Brolin. Also, the 89th Academy Awards 2017 had very special moments to offer. 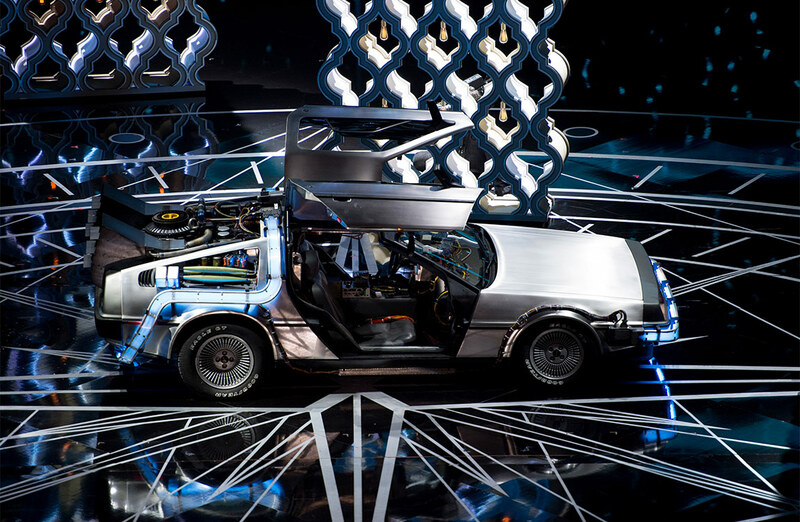 When the world’s most famous car drove onstage, the DeLorean DMC-12, and Michael J. Fox appeared, the people were very touched. Since years, the actor fights against the Parkinson disease. He has founded the Michael J. Fox Foundation for Parkinson Research, which takes care for the further development of treatment methods. Another special moment was the personal appearance on stage of Katherine G. Johnson. The story of the 98-old lady, who is considered as pioneer in space science and computing, was adapted in the movie “Hidden Figures” with Taraji P. Henson, Octavia Spencer, and Janelle Monáe in the main roles, alongside Kevin Costner and Kristin Dunst. Photo: Valerie Durant / ©A.M.P.A.S. The probably craziest moment, was the envelope mishap at the end. All eyes were focused on Warren Beatty, who hosted the Oscars® exactly 40 years ago too, when it came to the announcement of the winner in the category “Best Picture”. 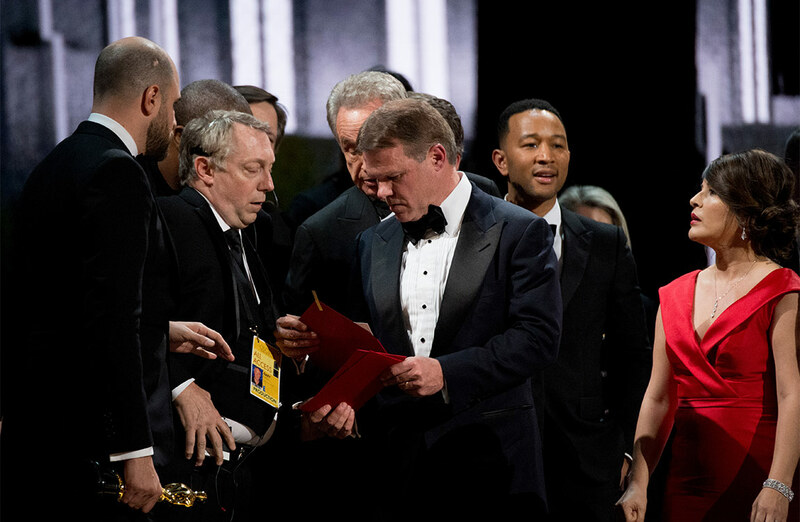 Confused for a moment, he gave the envelope which contents the name of the winner to his partner on stage and friend in live since more than 50 years, Faye Dunaway. She announced first “La La Land” as “Best Picture” of the Oscars 2017. Some minutes the Oscar for “Best Picture” went to “Moonlight”. Besides all others, the movies play an important role. This year, La La Land was nominated in 14 categories for the Academy Award®. With it, it wrote film history. Also, of course, with the mishap mentioned before. However, the film belongs to one of the best movies of all times. It was topped by Moonlight, which deals with the conflicts of young black people. It is characterized by an heart-touching authentic story, as well as an amazing performance of the Oscar-winner Mahershala Ali, and Oscar-nominee Naomie Harris. In 1989, the Academy changed the words: “And the winner is…” to “And the Oscar goes to…”. The reason is clear, all of the nominees should feel as winners, because of their achievements in front of the camera and behind it. But, at the end, only one can take the award home. The Oscar 2017 went this year – among others – to Emma Stone (Best Actress), and Casey Affleck (Best Actor). The Award for Best Picture went to “Moonlight, and Damien Chazelle was honored as Best Director. Viola Davis, and Mahershala Ali are the Best Supporting Actors this year. Use the button below to visit the official Oscars website. All pictures protected by international copyright A.M.P.A.S. Every kind of copy is strictly prohibited.